You are within 12 months of when your benefits started. You have already reached full retirement age (FRA). If you filed for benefits at an early age, have been receiving benefits for more than 12 months and you have not yet reached your FRA, you are out of luck. You cannot stop or pause benefits until you reach your FRA. If you have already reached your FRA, then you can put a pause on your benefits by requesting what is called a voluntary suspension, explained below. If you are past FRA, the most common reason to stop benefits would be so you can get more in benefits later. 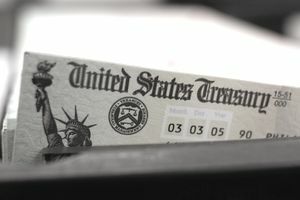 If you have reached your FRA but you are not yet age 70, you can stop Social Security benefits by asking them to suspend your benefits. This is often referred to as a "voluntary suspension" of benefits. Your benefits can then start accumulating delayed retirement credits, so you can collect more when you reapply later. Why Would You Want to Stop Benefits, Anyway? If you have not yet reached your FRA, you might put a pause on benefits, if you are headed back to work and your benefits will be reduced because of the earnings limit. You might also consider a pause if you realize you made a mistake. Perhaps you claimed early, but later learned you could lock in a higher survivor benefit for your spouse by delaying your start date. This strategy may also create a few years where you have less taxable income and you may be able to convert IRA assets to a Roth or realize capital gains at a zero percent tax bracket. This approach can have far-reaching effects as there may be tax benefits to pausing your benefits that are not readily apparent unless you are working with a tax advisor. The current Social Security rules were signed into law on Nov. 2, 2015. On May 1, 2016, if you voluntarily suspended your benefits, then all benefits based on your earnings record would also be suspended—including any spousal benefits. If you reached age 66 by April 30, 2016, and were married, you had the option to carefully evaluate the potential benefits of suspending. You may have been able to "file and suspend," thus allowing your spouse (if they were born on or before January 1, 2016) to claim a spousal benefit while your benefits were suspended. However, after April 30, 2016, this option was no longer allowed.